If you have never had shawarma, you are definitely missing out on a Middle Eastern delight! Shawarma typically consists of thinly sliced, seasoned meat that is piled into piping hot pita bread and topped with crisp vegetables or onion rings. It is the ultimate fast food or street food in Middle Eastern cuisine. Like a fast food burger with its ketchup or hot dog with mustard, shawarma is not complete unless it has a sauce to go with it. Tahini sauce: Undoubtedly the most popular option to top your shawarma is tahini sauce. This sesame based sauce is a staple in Middle Eastern cooking and very easy to make at home. Some markets sell it ready made but we recommend you opt for purchasing plain sesame paste and making it yourself. Simply combine equal parts sesame paste with water, add in about 2 tablespoons of lemon juice to every quarter cup of the sesame paste and season with salt and pepper. Want it thinner? Add some water? A little thicker? Add a touch more sesame paste? Like it hot and spicy? Add in some red pepper flakes. Store any leftovers in a sealed container in the fridge for a few days. Note that it will thicken in the fridge but you can thin it back out again with a spoonful of water. Falafel how sauce: Yes, it says falafel, but we love it on shawarma. Be careful, it is definitely spicy. If heat is your thing, though, you can also try using schug. That combination of jalapeño peppers, garlic, parsley, cilantro, lemon juice, salt, ground cumin, ground coriander, and olive oil brings both spice and amazing flavor to any dish. Tarator sauce: This is the secret sauce that Middle East restaurants won't tell you about. Well, the secret is out and this sauce is just as easy to make as it is delicious! Tarator is basically a tahini sauce, like the above recipe with water, lemon juice, salt, and pepper, but with the addition of garlic. It might also contain a pinch of ground cumin and or chopped parsley. Serve it on shawarma and everything else! Yogurt garlic sauce: If you've ever ordered Greek gyros in a restaurant or fast food stand and gotten them topped with a thick, creamy yogurt sauce, that same sauce is perfect for shawarma. It is a combination of thick, Greek-style yogurt, lemon juice, finely minced or grated garlic, dill, and salt. Sometimes a tablespoon or two of tahini is also mixed in as well as some mint along with the dill. 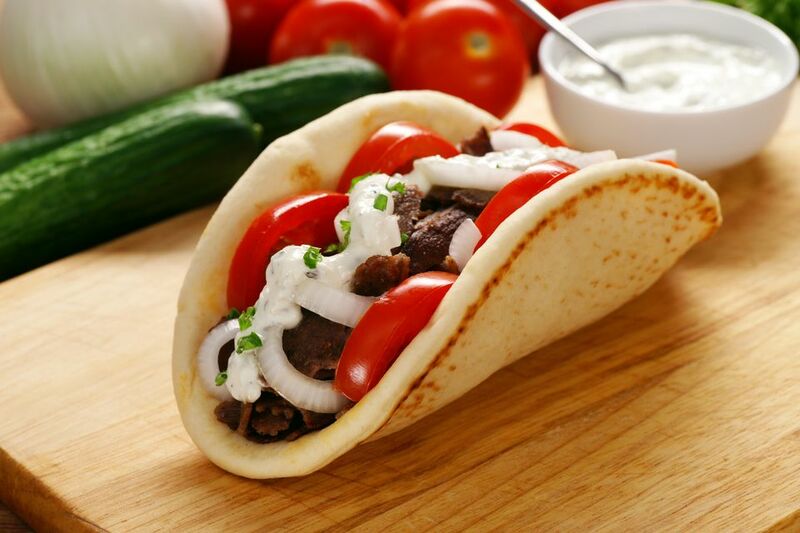 Try lots of variations to find your favorite and serve it with your beef, chicken, lamb or even vegetable shawarma. What Is a Carribean Sweet Potato?